Donnell Alexander grew up sideways in the cramped spaces of Sandusky, Ohio, the son of a devout mother and a dad named Delbert, a protean genius who jacked a thousand identities—from pimpin’ them hoes to preaching the gospel—but skipped out on fatherhood when his son was in diapers. Donnell unwittingly replayed Delbert’s tragedy as farce until he finally wrote himself his own story, becoming a star of California’s freewheeling alternative press, spreading the gospels of punk and hip-hop in print. 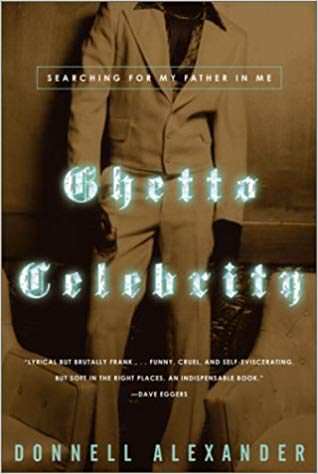 After finding a career and starting a family of his own, Donnell was drawn to reconnect with the vanished Delbert, and when he did, things fell apart, as they tend to in the grip of ghetto celebrity. Told in multiple voices, freestyle raps, and a graphic interlude, this is the riotous story of one writer’s mission to find truth in the margins and an engrossing tale about phantom fathers and the sons they leave behind.